From birth, the body starts to produce CoQ10. When young, levels are high because the body knows it is a valuable antioxidant that serves growth and energy production. As we get older, the production of this critical antioxidant declines and we do not get its protective benefits. 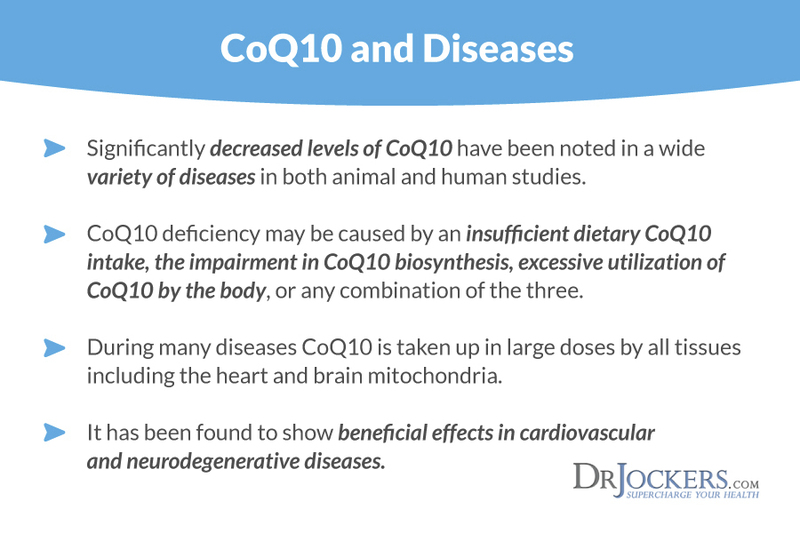 Common signs that CoQ10 is low include wrinkled skin, poor energy levels, cardiovascular problems, and vision problems. When the body needs to fight against aging free radicals, antioxidants are needed to support this process (1, 2). 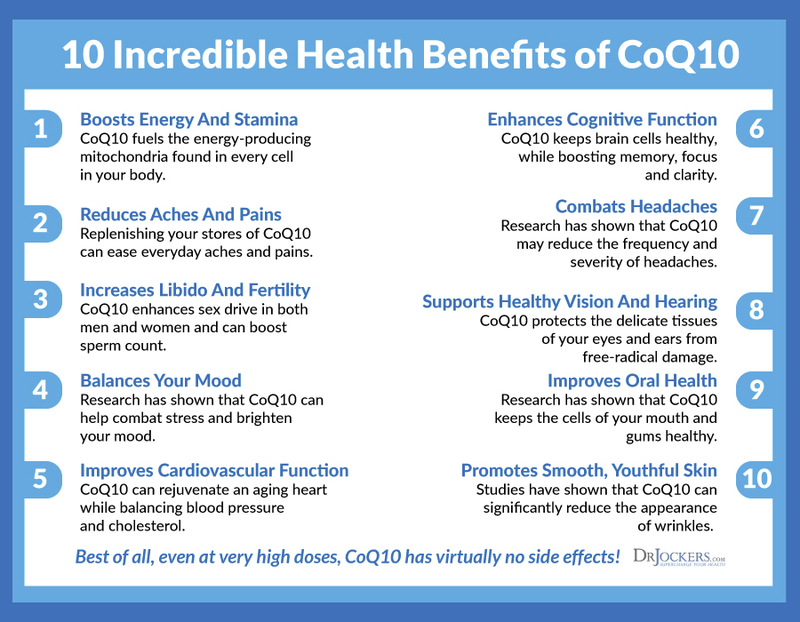 CoQ10 is one of these antioxidants that works to protect our cells including in the heart, pancreas, liver, and kidneys. It is interesting that in addition to our own cells, this Co-enzyme is also found in animals, plants, and bacteria. It must be important! It is important to know that Co-enzyme Q10 is directly associated with many diseases and low levels of it in our body may cause unwanted illnesses. Considering its importance, it is vital to support the body’s ability to make this critical nutrient. This become even more important when you realize that the body does not store large amounts of CoQ10 and that it must be synthesized continuously. There are very important functions in the body which are supported by Q10. The most important is generating energy inside of our cells. It protects our cells as an antioxidant and keeps them safe from oxidative damage. Many cosmetic companies attempt to capitalize on this effect by adding it to makeup and other skin products. The intention is to protect skin cells from oxidative damage and therefore keep them young and looking a certain way. Many studies have been performed, but it is yet to be agreed upon whether or not healthy people would benefit from supplementation with CoQ10. Most people, if they are healthy, can produce it in their own cells with proper nutrition and lifestyle strategies. However, those with chronic diseases may have an increased need. The body is able to produce its own CoQ10 as-needed, however during times of increased stress, this ability may be diminished. This is when consuming CoQ10-rich foods can be very helpful. 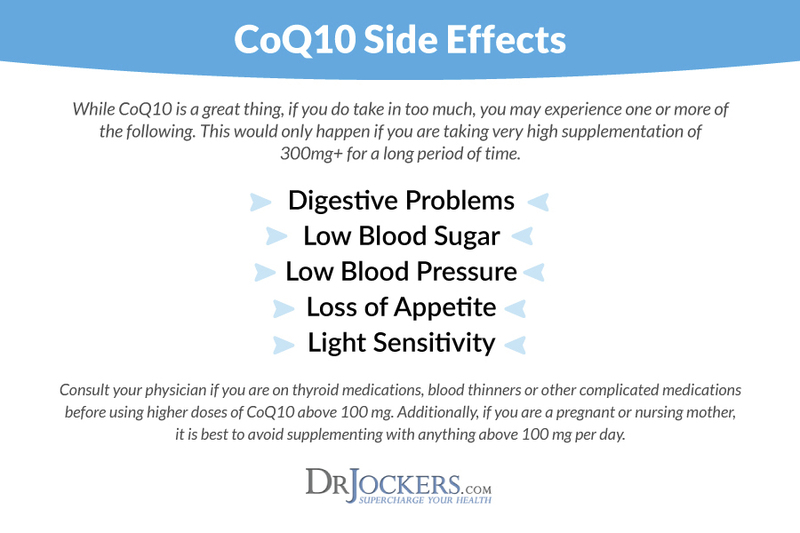 In addition to eating the right foods, supplementing with CoQ10 may provide some benefits as well. CoQ10 is readily available in most health food stores and supplement shops, however not all are created equal. Pharmaceutical Grade is typically what I would recommend, such as this one here. CoQ10 is a well-known supplement and can sometimes also go by the following names: Coenzyme Q10, CQ10, ubidecarenone, and ubiquinone. There is also a new form of CoQ10 that is referred to as Pyrroloquinoline quinone (PQQ) that some claim to be more effective. When you want to order Q10, it is good to know there are different forms including tablets, hard and soft shell capsules, and liquids such as oral sprays. There is not a generally agreed upon form that is superior. CoQ10 is fat-soluble, so if you use a supplement it will be important to consume with a fat source. Additionally, for added antioxidant benefits, consume with antioxidant-rich foods like vegetables, herbs, and spices as evidence suggests that antioxidants provide synergistic benefits. Generally speaking, CoQ10 supplementation is likely not necessary under the age of 18. Dosages range from 30-1000 mg daily, however this is highly variable toward the individual. Some sources suggest that supplementing in the evening is best, however this may be something to test out for yourself. Heart conditions – CoQ10 helps to mitigate the effects of increased LDL cholesterol, likely due to its antioxidant effects. In this way, CoQ10 might make a good base for heart disease prevention. 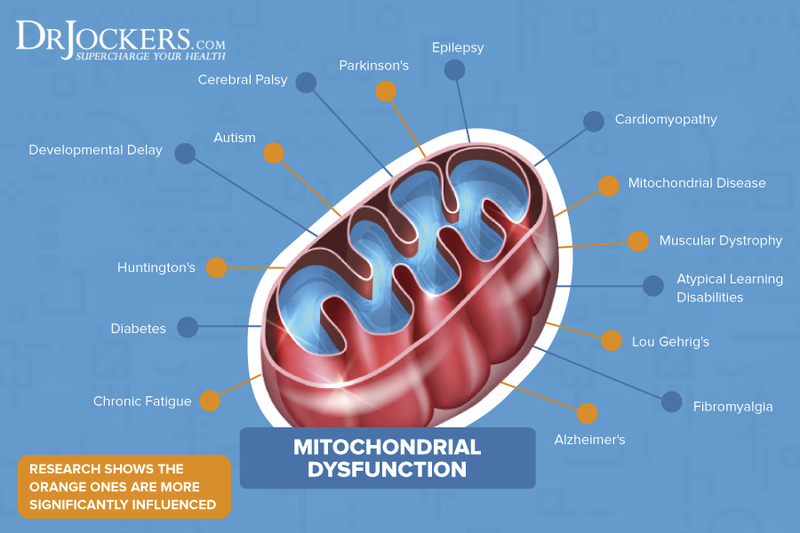 Parkinson’s disease and other neurodegenerative diseases linked to mitochondrial health may be influenced by Coenzyme Q10 levels. Statin-induced side effects – Supplementing this antioxidant alongside statin treatment may provide a safety guard against many statin-induced side-effects. Taking within 3 days after suffering a heart attack and continuing daily may help avoid subsequent heart attacks and reduce chest pain. Q10 alone or along with other medications may be used in order to help prevent heart failure. Considering the mitochondrial density in the heart, having adequate amounts of this nutrient are necessary to keep it healthy. May help to support optimal cholesterol levels alone or in combination with statins. Blood Sugar control may be improved with supplementation although more research is needed to confirm this benefit. Supplementing during chemotherapy treatment may help improve outcomes by mitigating excessive oxidative stress and protecting the heart from damage. Heart surgery outcomes may be improved with supplementation. As always, not all scientific literature agrees. However, there are additional benefits that may be notable of mentioning. Some preliminary evidence suggests that CoQ10 may improve fertility in both males and females. May improve immune function and therefore build resilience toward a number of different immune threats such as bacteria, viruses, and fungi. As has been mentioned, it is common to add Coenzyme Q10 to beauty and cosmetic products where it may provide an anti-aging effect against wrinkles. Cardiovascular medications such as Alpha2-adrenergic agonists like Clonidine, and Beta-blockers such as Atenolol, Bisoprolol and other similar medications. Vasodilators such as Hydralazine are also part of this group. 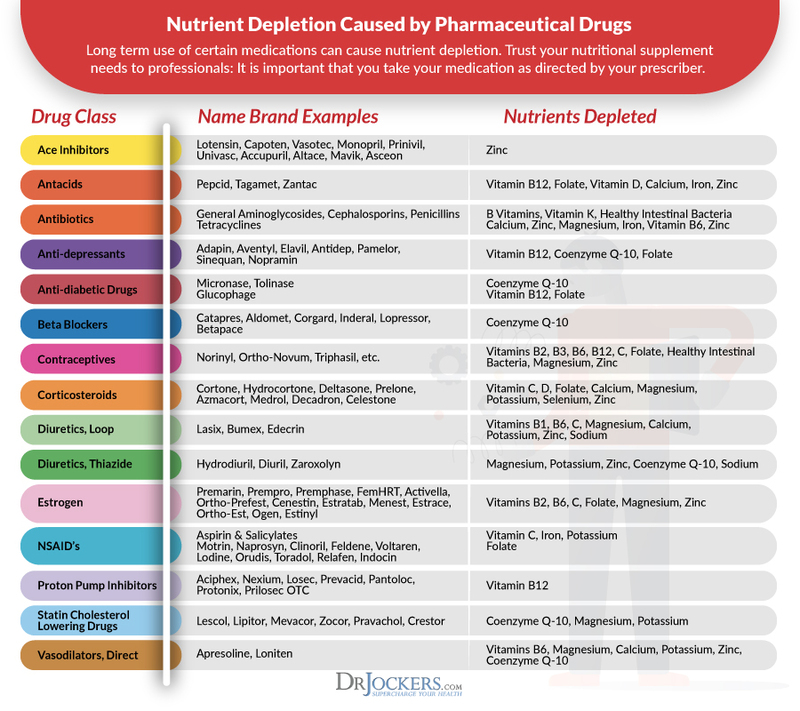 This is only a partial list so if you are using any kind of medication, do your research to find out if what you are taking regularly could be hampering your antioxidant defense systems. 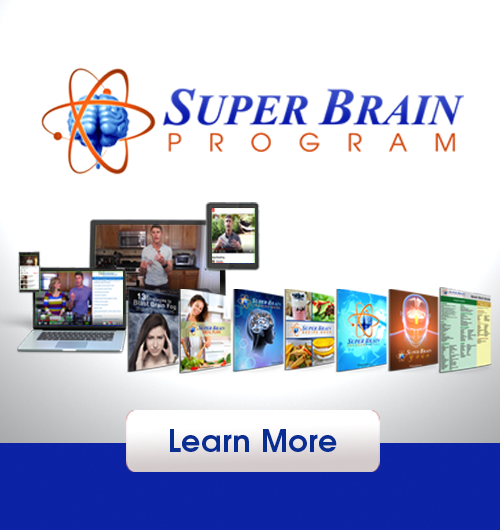 There are current developments for people who suffer from neurodegenerative diseases, like Alzheimer’s disease for example. Preliminary studies at Cornell University in the U.S. have shown promising results, however ongoing research is necessary (10). As with all supplements or medications, there is the potential to experience side effects. It is helpful to understand what these might be before beginning a supplement protocol so they can be preemptively monitored for. If you notice any negative effects while supplementing, you will want to stop taking it until they subside. 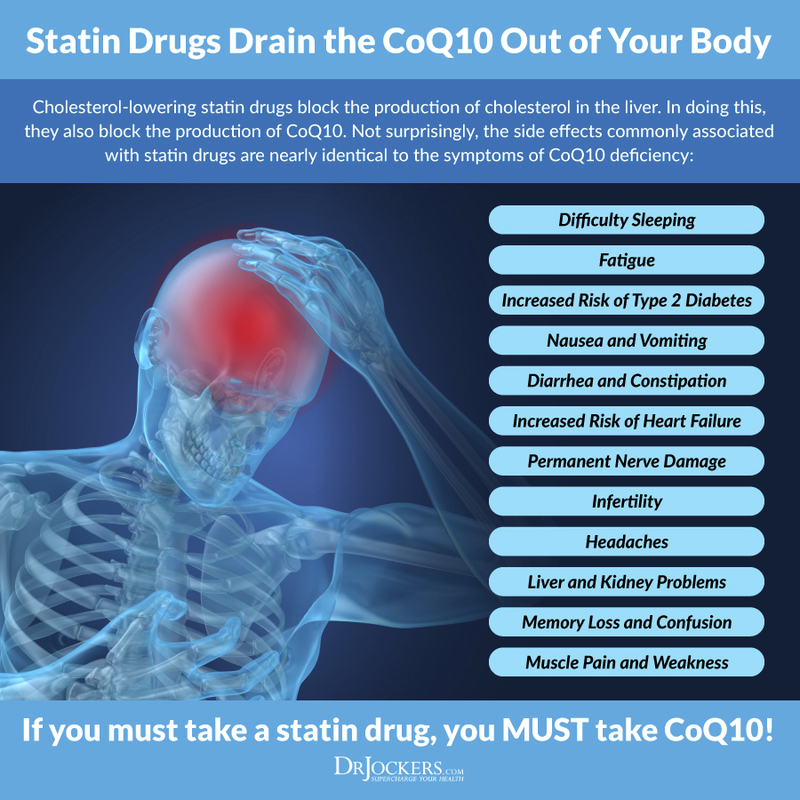 Medicine Net, a website run and edited by a team of doctors states that CoQ10 only offers the potential of a few minor side effects (11). One of the most common side effects appears to be digestive upset, however this can be easily avoided by lowering and splitting your dose throughout the day. Digestive upset including diarrhea, nausea, rashes, headache, fatigue, dizziness, trigger allergies and even heartburn. CoQ10 is an antioxidant found in many different living organisms and is absolutely vital for health. As a mitochondrial-support nutrient, this makes it a broadly applicable to many different health conditions. 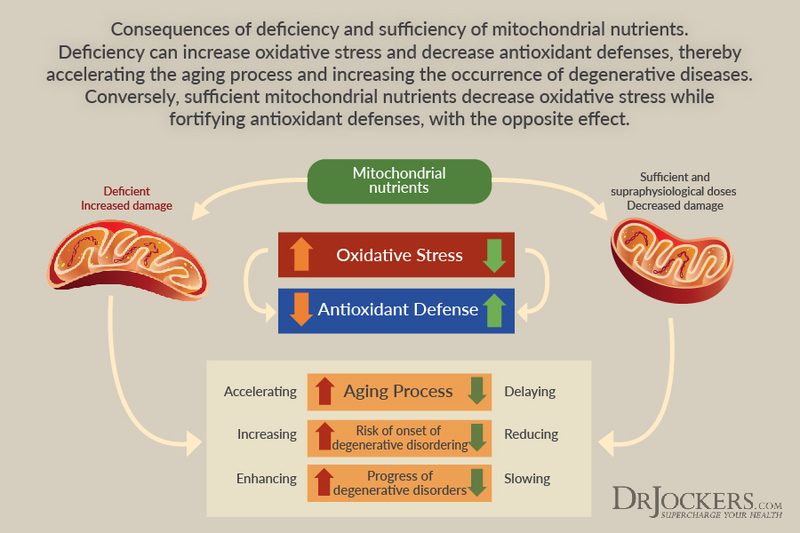 Considering mitochondrial dysfunction is at the root of most chronic diseases today, taking steps to support them is a good idea. 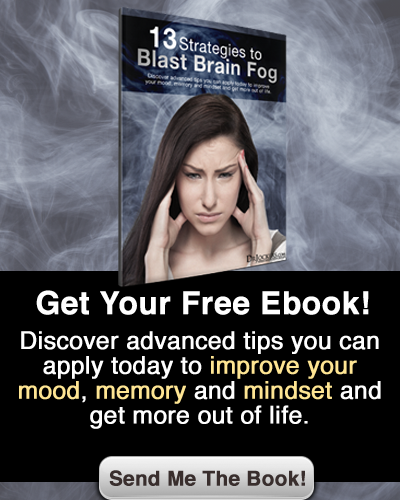 Consequently, an expanding body of evidence is eluding to a wide-range of benefits of having enough of this antioxidant in your body. Additionally, side effects are relatively rare and mild in nature. While this nutrient can be derived in small amounts from food sources, using a pharmaceutical grade supplement, such as this one, can be a great way to boost overall health and performance on a daily basis. Another amazing, comprehensive, do-good-for-humanity, article! While I agree with just about everything you say, I’d like to make a point… heart tissue (beef heart, lamb heart, chicken heart) is the richest source of CoQ10 that exists in nature… that said, there’s more to the story than “experts” recommending 100 to 200mg of exogenous CoQ10 per day. I hope that you will read this entire response so that you will know the importance of endogenous production and how to best support it in harmony with our biology. One ounce of fresh, raw whole bovine heart that you’d get from your local farmer (or) butcher has a whopping 10 mg of CoQ10. That said, even if you consumed a plateful of grass fed heart, say 6 ounces, you’d be getting approximately 60 mg of CoQ10. Like I said, there’s obviously more to the story when it comes to managing your CoQ10 status at the tissue level (hint, hint: endogenous production is pretty important here). There is really nothing that exists in “nature” that would have regularly supplied “supra physiological” amounts of CoQ10 that are found in many CoQ10 supplements today. In fact, research points to us requiring up to 500 mg per day of CoQ10. If the average CoQ10 content of the western diet is only 5 mg per day, then food contributes only about 1 percent of daily CoQ10 requirements — the balance comes from endogenous production (within the body). Synthesis of CoQ10 indispensably requires the B vitamins (vitamins B2, B6, B12, folate, niacin and pantothenic acid) along with several trace elements, including selenium, which protects CoQ10 from oxidation. Deficiencies in any of these nutrients result in reduced synthesis of CoQ10 and cause many other adverse effects as well. So how do we manage our CoQ10 status at the tissue level… in our hearts, and in our livers and in our brains (not just in our blood)… Eat traditional foods that contain high amounts of CoQ10 such as grass fed liver, grass fed heart and grass fed brain. Don’t do this for the CoQ10 content… Do this because these foods provide the vitamin and mineral content to support endogenous production of CoQ10. In summary, the vitamin and mineral content of foods is therefore of greater importance for maintaining CoQ10 status than their CoQ10 content. 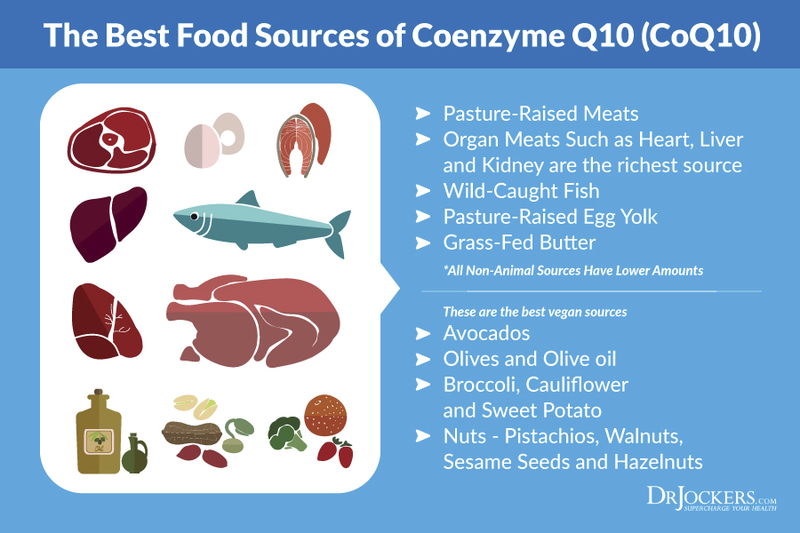 Remember just how smart nature is… Most of the foods that contain significant amounts of CoQ10 are also rich in many of the nutrients required for CoQ10 synthesis (heart, liver and brain). These foods were prized by our early ancestors for a reason which is why their traditional diets included the frequent and nourishing consumption of nose-to-tail organ meats. The quality of the product is definitely something to take into account Myhill! I would still love feedback from a doctor.